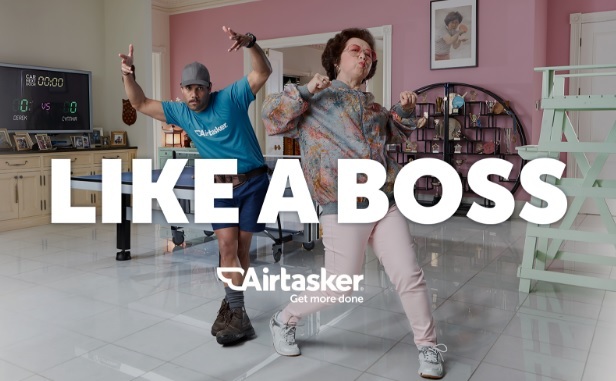 Airtasker, Australia's no.1 local services marketplace, is set to hit primetime TV with the launch of Like a Boss -- its first major advertising campaign. The campaign will launch on September 18 and will feature on Network Seven Sydney during the airing of the AFL Grand Final broadcast and the premiere of the new season of the X-Factor. Versions of the campaign will also run nationally across out of home (billboard advertising), online video, digital, and over social. It serves as the Sydney-based startup’s first major advertising campaign, launching off the back of Seven West Media’s strategic investment in the company earlier this year. “The phrase ‘Like a Boss’ is all about empowerment. Whether you’re looking for more flexibility or control in the way you work, or if you need a helping hand to get more done in life, Airtasker can help,” said Simon Reynolds, Airtasker VP Marketing. The Like a Boss campaign was created by U Don’t Know Us (UDKU), a creative innovation agency that specialises in helping corporates innovate and startups compete at scale. The agency, founded by ad agency and management consulting executives, has flown under the radar since their formation three years ago. This advertising push from Airtasker serves as their first formal public campaign. “This is the first time we’ve been able to claim credit for our work,” UDKU partner and co-founder Colin Jowell said.